The SOE hosts distinguished high-school students from across Lebanon at the Engineering Scholarship Awards competition. The first part of the competition featured computer programming, where students had to solve multiple exercises using LabVIEW. Groups of students had to construct a tower using very simple tools. The towers that were tested on a shake table, simulating an earthquake. 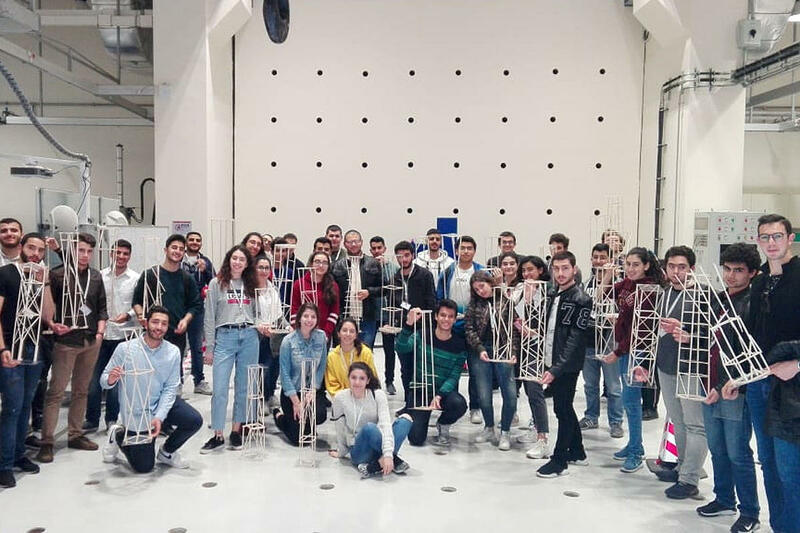 The LAU School of Engineering (SOE) recently hosted 50 distinguished high-school students from across Lebanon at the sixth LAU Engineering Scholarship Awards (ESA) competition. 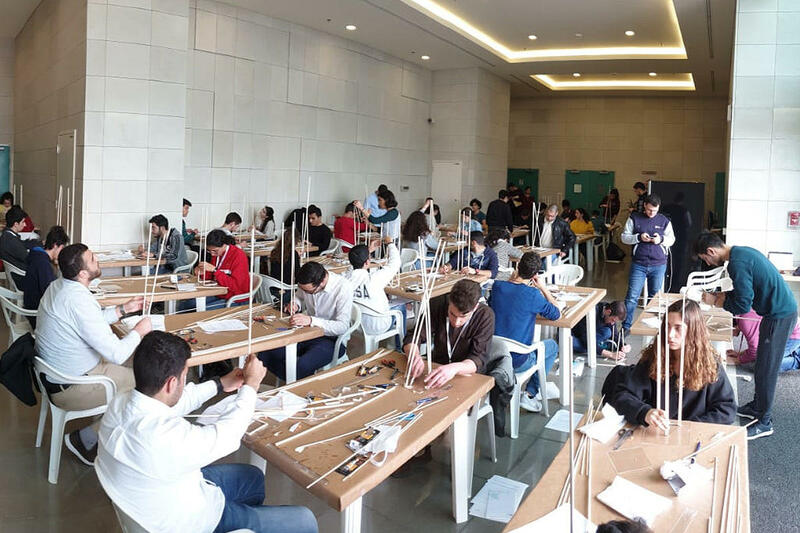 “The aim is to get high-school students interested in engineering by exposing them to its various areas and introducing them to our ABET-accredited programs and facilities,” said Professor and Interim Dean at the School of Engineering Raymond Ghajar. The annual competition is designed to attract students with top academic records to study at the SOE. “This competition helps us select and recruit the best students to join the engineering program,” said Assistant Professor of Electrical and Computer Engineering and Interim Assistant Dean Joe Tekli. The competitors were chosen for being among the top students in their classes based on their high-school grades, and achieving a minimum SAT score of 740 in the math section. The first part of the competition featured computer programming, where students had to solve multiple exercises using LabVIEW. 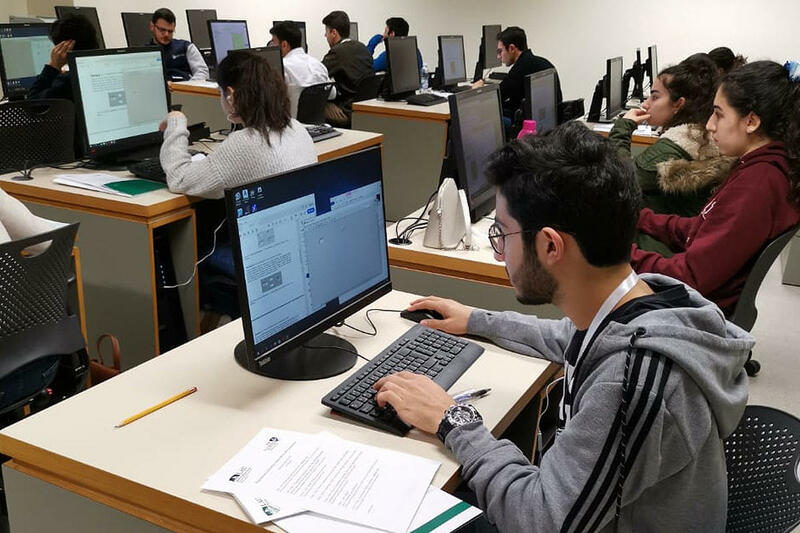 “LabVIEW is based on the visual programming paradigm and can be used by engineers from different disciplines to create programs and design automatons,” said Assistant Professor of Mechanical Engineering Evan Fakhoury. As for the second part, each group of students had to construct a tower under certain constraints, using very simple tools. Each tower was then tested on a shake table, simulating an earthquake, while carrying a mass of four kilograms. “This is an indication that someone can come up with an innovative design without having the theoretical background,” commented Assistant Professor of Civil Engineering Gabriel Bazi, adding that passion and interest are key factors in recruiting students. For the participating students, ESA’19 was their first hands-on engineering experience. “This competition was an introduction to what we will be studying in the future,” said high-school senior Andrea Francis from Saint Joseph School. The top nine competitors won scholarship awards ranging from 30 to 50 percent of tuition, in addition to other scholarships and financial aid they might already have. Thanks to this competition, several students are currently studying at LAU for free. Current engineering student Marwa Souaiby is one example. “The 30 percent scholarship that I won, along with the financial aid and other scholarships, realized my dream, and I am currently learning for free at a very prestigious university,” said Souaiby. As for high-school student Ghadi Nehme from Collège des Soeurs des Saints-Coeurs, who won a scholarship award of 35 percent on Saturday, the competition encouraged him to develop logic and creative thinking. “I would be happy to join LAU’s engineering program,” he said.